My thoughts on the ceremony this year were definitely… mixed. 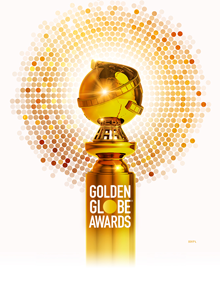 I definitely enjoyed some humorous moments from hosts Andy Samberg and Sandra Oh, like them mocking Lady Gaga’s mantra, but also some awkward moments in an overly attempt to make a statement about whitewashing and diversity, which is definitely important and there were some strong moments like Peter Farrelly’s wonderful Green Book speech. But overall some jokes felt forced or too scripted, like anyone could’ve done them when a man like Andy Samberg has such unique and memorable humor. Like I said, some moments to promote diversity/equality were touching but others felt a bit forced, and there was one awkward moment when Maya Rudolph “proposed” to Amy Poehler (who is another comedic genius of an actor in my eyes). One strong highlight was Jeff Bridges winning the Cecil B. DeMille award for lifetime achievement. Come on, who can disagree that the man is such a talented force on screen? I’m very thrilled that Justin Hurwitz has won his 2nd Original Score Golden Globe for First Man, an incredible film that should’ve been nominated for Best Drama over the winning one. I still have yet to see Vice and If Beale Street Could Talk, though I am a huge fan of Christian Bale. Olivia Colman also did so great as Queen Anne and I’m glad she won. I am also happy for the wins of Roma, a moving and deep passion project from the heart of Alfonso Cuaron, even though I would’ve preferred Bradley Cooper for Best Director. Speaking of which, despite winning Best Original Song, A Star is Born, the main film that got people talking this year, was completely shut out from the big categories. I was very disappointed that Lady Gaga did not win for her marvelous performance as Ally, and that Bradley Cooper lost both categories he was nominated in. Rami Malek did a terrific portrayal of a musical legend and brought Freddie to the screen so well, but Cooper and Gaga nearly brought tears to my eyes. After all the work Cooper put in front of and behind the screen, I want him to win at least one Oscar, and I hope Gaga has a chance too. After all, they’ve won at every awards ceremony except this one. I enjoyed Bohemian Rhapsody very much, especially being a Queen fan, and I loved the performances and musical scenes, and overall thought it was good. But with a sometimes cliche script and mixed reviews from critics, I’m so shocked it beat a fantastic film like A Star is Born. Even BlacKkKlansman, which sparked many important conversations and hit many right marks, deserved the award more. Mahershala Ali for Supporting Actor, and I’d be happy if he goes on to win his second Oscar in two years.